Bengaluru: Mumbai Indians have won the toss and elected to bowl first. Wankhede stadium pitch has been a boon to the batsmen and teams have scored high. As there is presence of dew in the evening, defending will be difficult. So, RCB is expected to score a mammoth total considering the pitch and their previous bowling record. 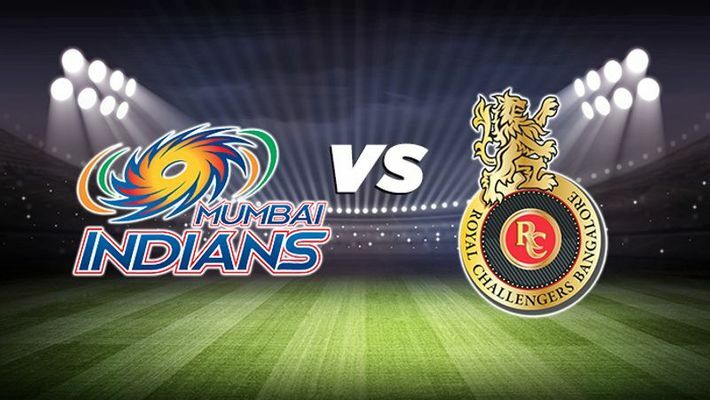 Royal Challengers of Bangalore (RCB) is all set to face Mumbai Indians at the 31st match of IPL 2019 at Wankhede Stadium in Mumbai. RCB registered its first win of the season against Kings XI Punjab on April 13. With temperature of 30 to 32 degrees Celcius and humidity, both teams will take on each other at 8 PM, today. Mumbai Indians have won three matches and lost two in this season. RCB has won one match and lost six matches. In Mumbai team, Alzarri Joseph has injured his shoulder and is not likely to play this match. Though Dale Steyn's entry made news, RCB will have to wait for April 19 for him to join the team.